Sea, Sardines, Steinbeck. And a Giveaway! Let me start with some exciting news. This post gives you the chance to win a gift certificate for shopping at CSN Stores, who recently emailed me asking if I could do a giveaway. The winner will receive a one-time use $60 certificate (shipping excluded) that can be used for any of CSN’s 200+ websites, including the bed section. CSN Stores ships to USA and Canada. All you have to do, dear reader, is leave a comment to this blog post within a week from now. On next Friday (June 18), I will pick a random winner who will bag the gift certificate! that, please join me on my journey through Cannery Row in Monterey, California, where I was last week. 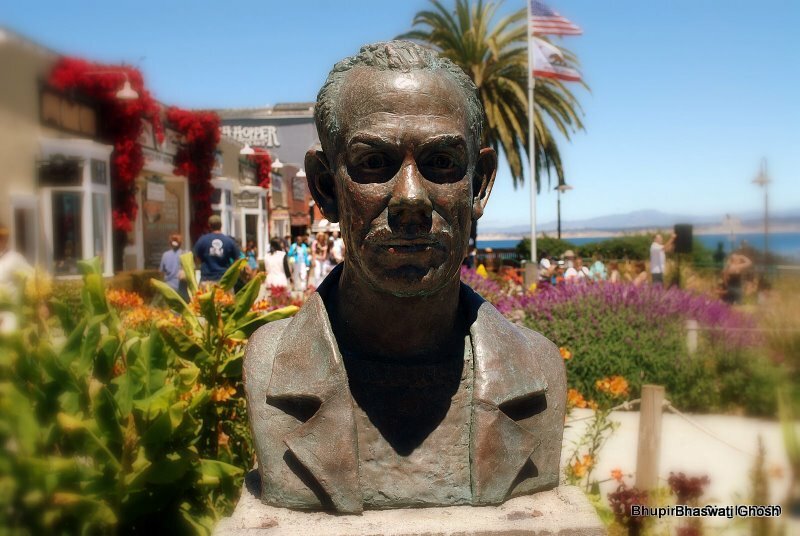 Besides its dazzling sunshine, topaz seawater, and buoyant seagulls, the place has been made famous by Nobel-winning writer, John Steinbeck, who used this place as the setting for his novel, “Cannery Row”. Steinbeck is literally all over the place, and walking through streets that have been preserved in the pages of a work of fiction gave me a different kind of thrill. More so after learning that Steinbeck had actually been a resident of these parts. 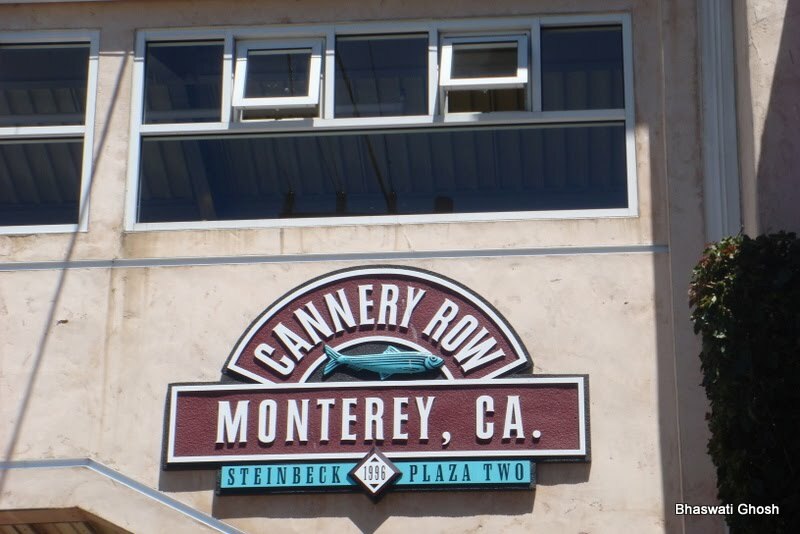 Already an admirer of Steinbeck’s “Of Mice and Men”, I now want to read “Cannery Row”. 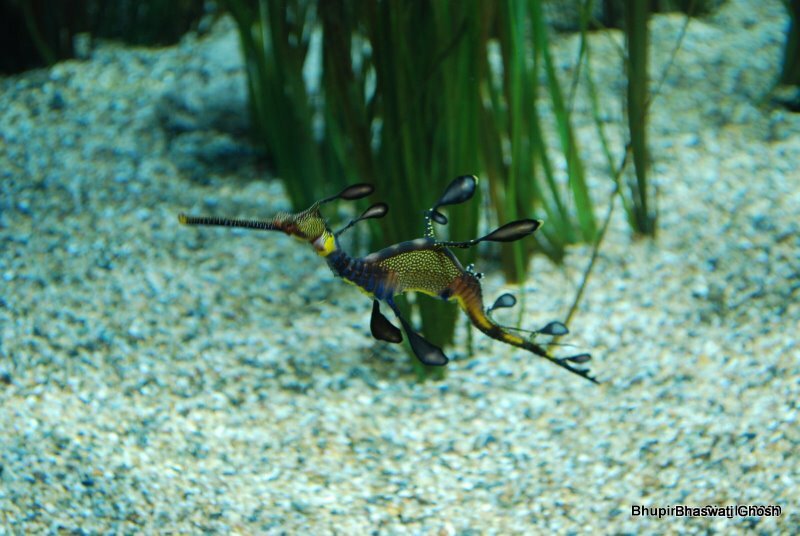 Monterey is also home to a spectacular aquarium, housing some of the least visible creatures of the aquatic universe. I was enthralled to see the sizable and varied sea horse collection. The jelly fish section was no less spellbinding. Here’s what is known as Moon Jelly. And, of course, there was the sea, with its roaring, splashing, playful waves. A cure for any and all kinds of fatigue. Oh, and did I mention sardines somewhere? Well, here they are–locally caught and presented in a delectable pasta dish. Enjoy, and don’t forget the giveaway! WINNER: Stephen Hines was the lucky name to be picked. Congratulations, Stephen! Of Mice and Men is one of my favorite novels.Looks like you had a great visit to Monterrey. Ahh, I miss the ocean…Monterrey looks like a lovely place Bhaswati…thank you so much for sharing photos. Your blog is sporting a new look…love it! You know, it's sad but I've never seen the ocean in person. And, I've only read The Pearl by Steinbeck. Doubly sad! 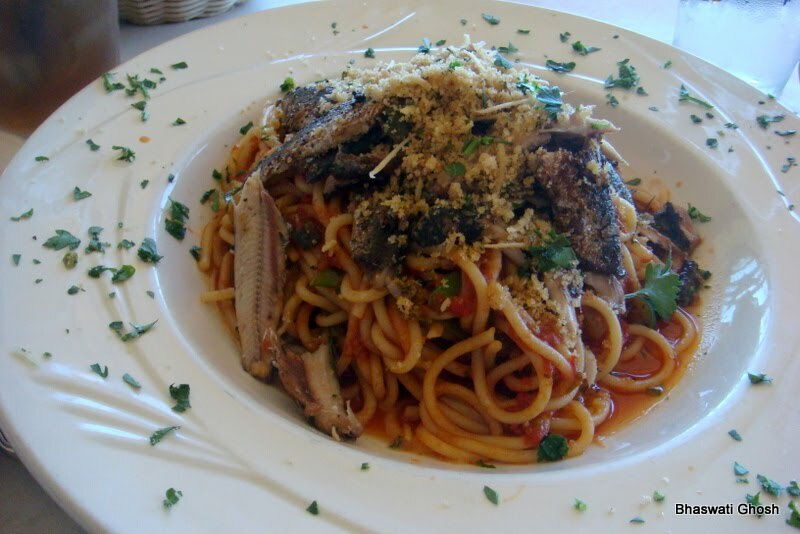 That sardine pasta dish looked delectable, though! The CSN website has everything you could ever imagine. Something for everyone! Please enter me in this giveaway. Dear Bhaswati,No near yet so far. Not for the greed of the giveaway – which i understand is a lucky dip of sorts – the blog left me wistful about how people can be so lucky and get the best of both worlds.Good luck and god bless! Welcome back to the blogging world funny girl. Sure have missed you! Dear Bhaswati,I wondered whether you had written something on Tagore given that this is his 150th birth anniversary year and there is considerable excitement in Bengal regarding this and so decided to check out your blog. I was pleasantly surprised to find that your blog has a new look and also that you visited Cannery Row. 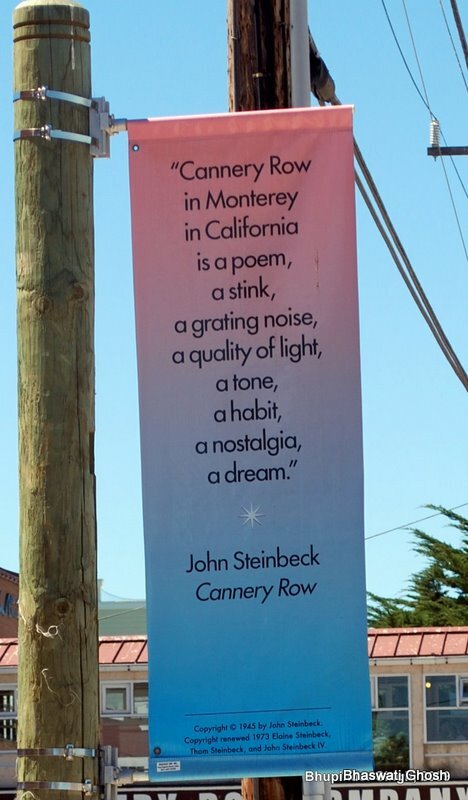 Steinbeck is one of my favourite writers and the short novel Cannery Row especially is a treat. I secretly admire both Doc and Mac and the gang and have tried to emulate their characters in my own life in many ways! How lucky you are to be able to visit such a historic place that holds sweet memories for me even though I doubt whether I will ever be able to visit it! But coming down to brass tacks I would really like you to write something on the relevance of Tagore in today's topsy turvy world. Though your translation of his story is excellent as a tribute to this other literary genius who has greatly influenced my life. Cesar, glad to be back! The aquarium was truly amazing. Terry, that's such a brilliant piece of writing, isn't it?Lotus, thanks for dropping by! We sure had a nice time by the ocean. 🙂Kristine, it was fun doing the contest. 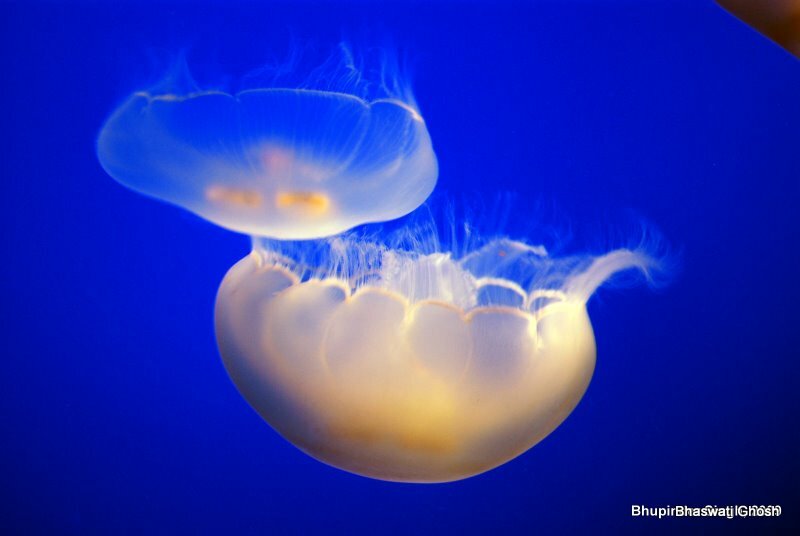 Thanks for playing!Susan, the moon jelly is simply ravishing, isn't it?Stephen, any time you are in CA, we will be happy to accompany you to the ocean. Promise. And the pasta was yummy! Oni, thanks for the visit to this blog, friend! The tagline has been there since day one. Will look forward to your views on the Steinbeck book you got. Glogirl, the pleasure was mine. Thanks for playing!Pinknblu, many thanks. Andrea, thanks for the welcome back. I missed you all tons too. 🙂Jason, thanks, friend. Been well, just a little busy. 😛 Pixie, aren't those seahorses gorgeous! Thanks for playing too. 🙂Rahul, thanks for your kind words. What do I write about the relevance of Tagore–I wouldn't know where to start and where to end. For me, he is a constant–whether the sphere is personal or public. On your recommendation now, I must read "Cannery Row"! Congrats to Stephen Hines for his win! 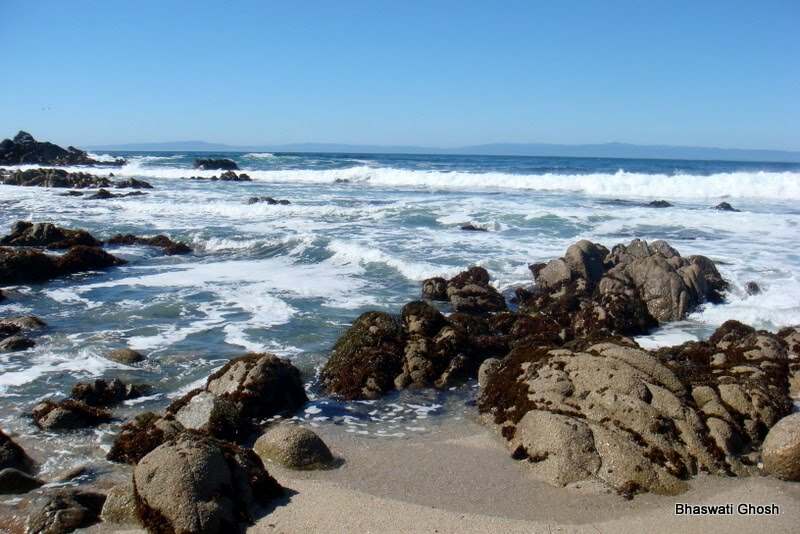 I love the ocean in Monterey! Great pictures. We own a Wall Mirrors ecommerce site and are always looking for great content to share and help inspire. Thanks. The article is grate and the ocean is wonderful I love it and the Moon Jelly and the sea horse its seems so unique.